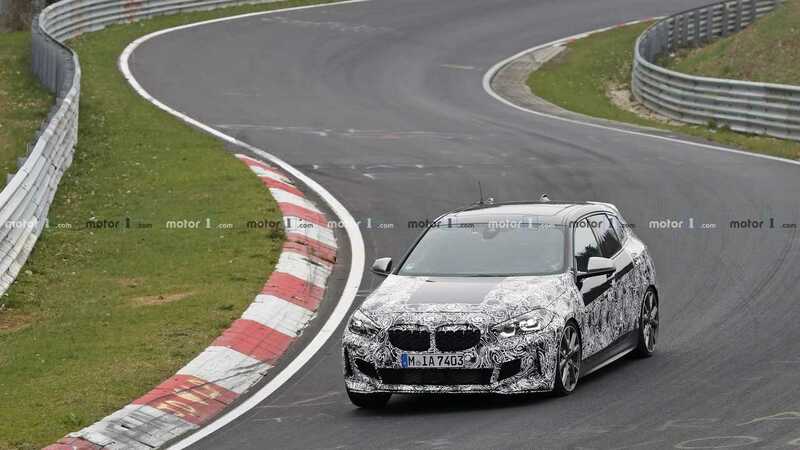 BMW is putting the finishing touches on the new generation 1 Series and we have yet another batch of spy photos showing a prototype of the new premium hatch. This time around, it’s an M135i xDrive model lapping the Nurburgring at high speed. 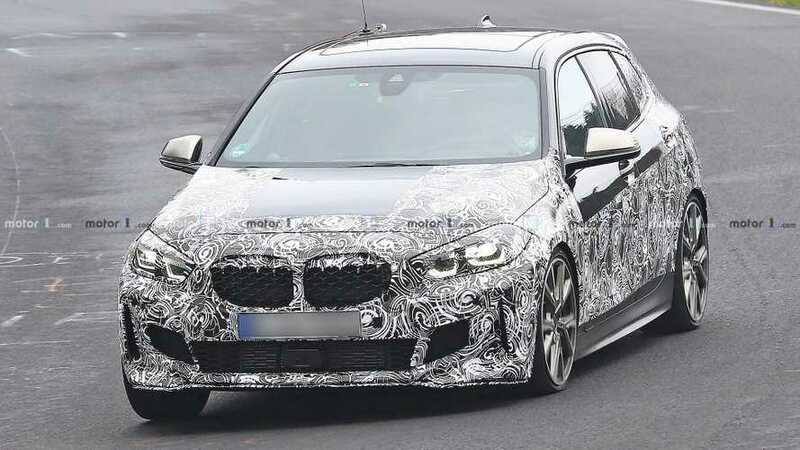 For this new test session, BMW has decided to ditch some of the camouflage at the front and we are finally able to see the shape and design of the fascia. With this being the range-topping version, it comes as no surprise it features a mesh kidney grille and a different lower grille compared to the regular models. Additional air intakes in the front bumper provide fresh air for the engine and brakes, and there’s also a small lip attached to the bumper. Take a closer look and you’ll also notice this prototype rocks full LED headlights. At the back, there’s a pair of large exhaust tips integrated neatly into the lower bumper diffuser. Above that, two little openings at the two corners of the bumper hint at the more aggressive body kit this trial car is wearing. Finally, we’re also able to see the LED signature of the taillights. We know for a fact this car is powered by a 2.0-liter four-cylinder turbo gas engine. It’s the same unit that BMW offers for the X2 M35i where it develops 302 horsepower (225 kilowatts) and 332 pound-feet (450 Newton-meters) of torque. Mated an automatic transmission and BMW’s xDrive 4x4 system, the motor should be capable of accelerating the hot hatch from 0 to 62 miles per hour (0-100 kilometers per hour) in approximately 4.5-4.8 seconds. We are just a few months away from the debut of the new 1 Series. Word on the street is BMW will finally show the completely overhauled model in Frankfurt this fall, but there’s always a chance we might see it online before that.